Listen up folks, there are great things in Canada. No, I’m not talking about poutine (although, yes I do adore), but rather a lovely lady named Rebekah Higgs who writes and sings and has recently released Odd Fellowship. 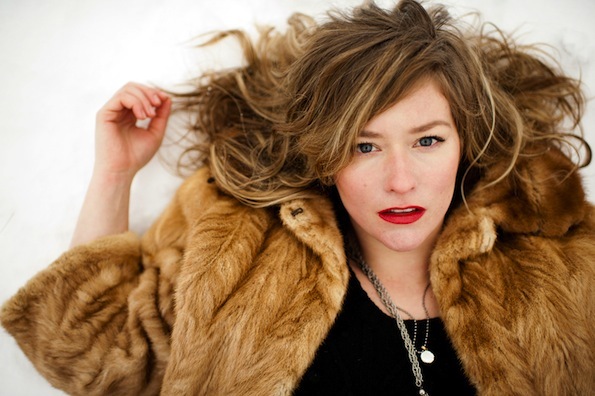 Think KT Tunstall (she loops too) or Regina Spektor (but nicer — she’s from Canada, remember?) with an assortment of instruments and varying song styles, from shoegaze to (gasp!) indie rock. The lyrics can be twee, “busy bee, humming merrily/and your little voice sings a melody,” or simply observant “you’re a mystery, with your apathy.” She has her nephew do a song intro and makes sure her alter ego band mates from Ruby Jean & The Thoughtful Bees put in appearances, keeping things in the family. Some of the rhythms make strange harmonies with synthesizer notes interspersed, while others are perfect little folk gems. Never thought I’d like a song with gosh in the title, but give it a listen and I bet you’ll be snapping your fingers and humming along to the pop perfection. Oddly, this mishmash of styles works and is imminently listenable, gosh darn if it isn’t.